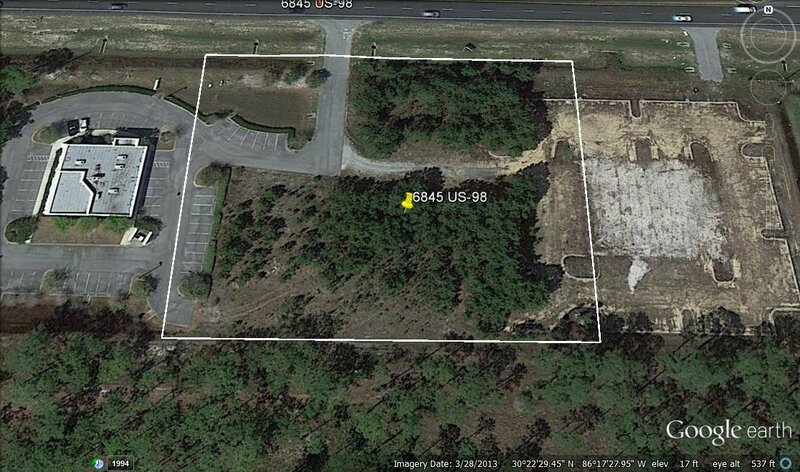 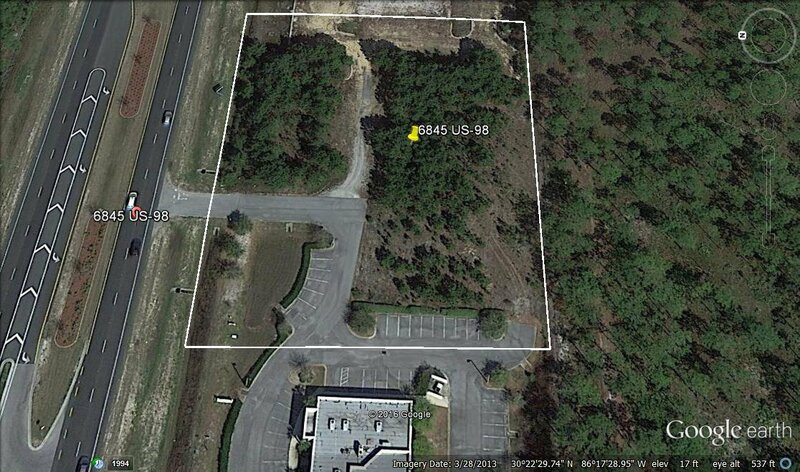 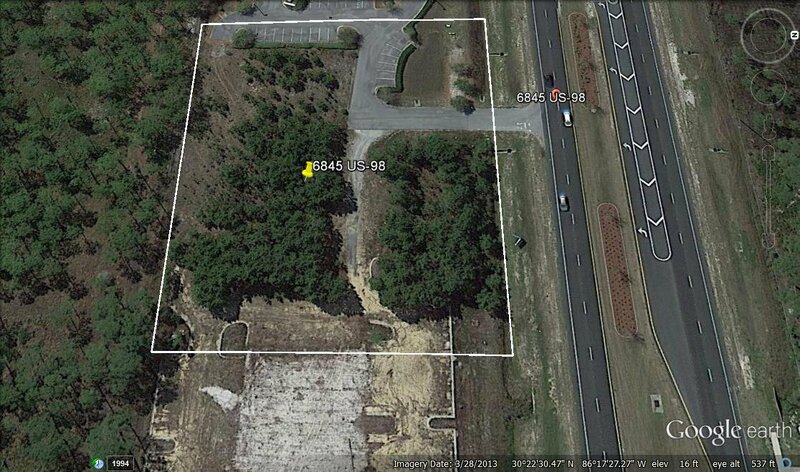 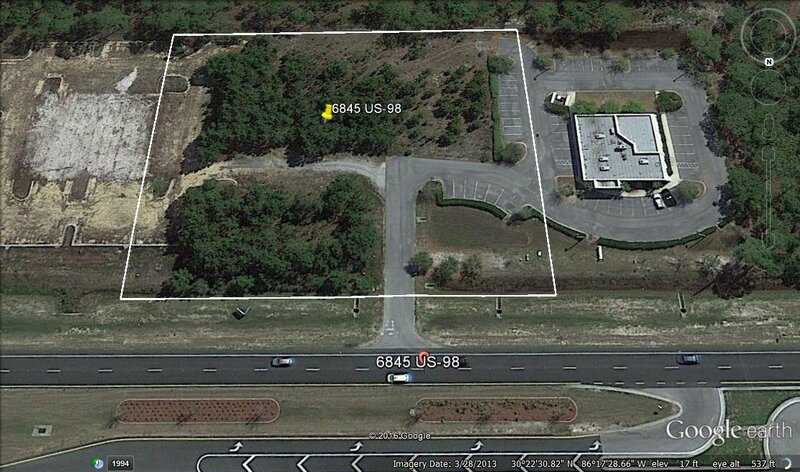 REO-This is an incredible piece of commercial property that sits directly across from the new Walmart in South Walton and backs up to the Topsil State Park. 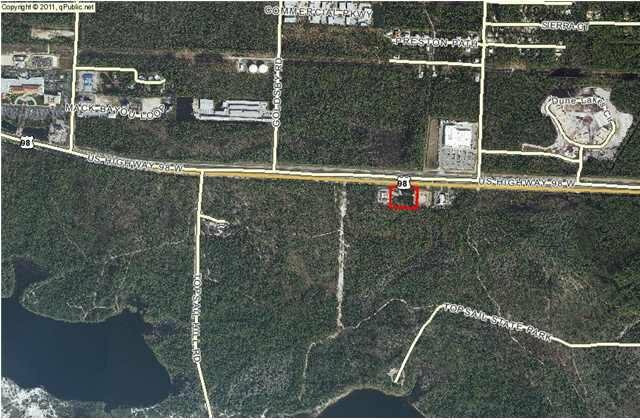 There are a limited number of developable parcels on the South side of Hwy 98 between the Sacred Heart Hospital and the 30A Intersection, and this one is of good size with the access already built. 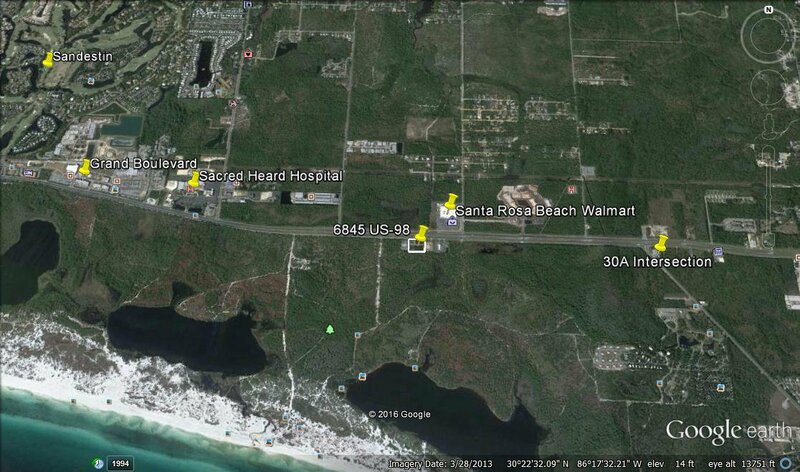 The property shares the access with a medical center. 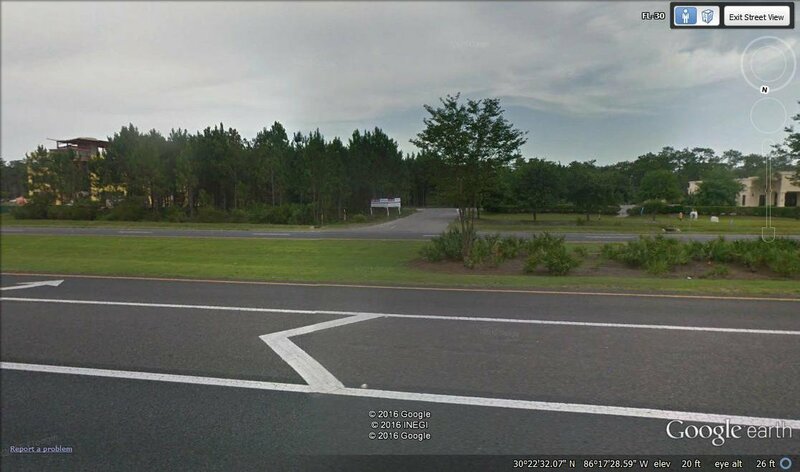 This is a great piece for an additional medical or office center, a small hotel, or a restaurant.